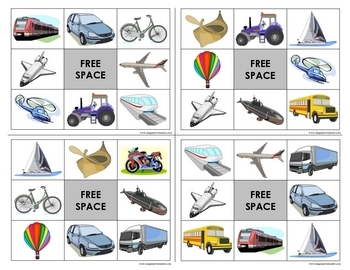 Print out a set of the bingo cards. Print out the calling cards, then cut them up. Sets can easily be laminated for durability. Each student receives a different bingo card and 9 counters. A counter is placed over the 'Free Space' square. 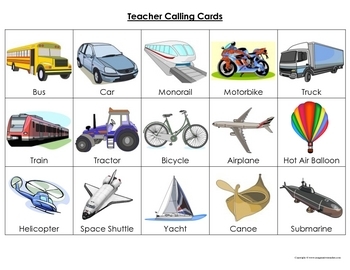 The teacher then shuffles the calling cards and then holds up one at a time whilst saying what it shows. If the student has that mode of transport on their card, they need to cover it with a counter. 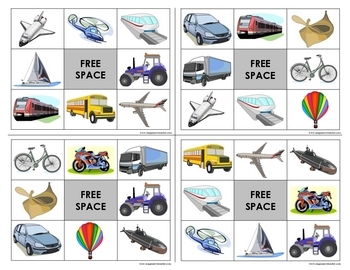 The first student to cover all squares wins by calling out "Bingo!" 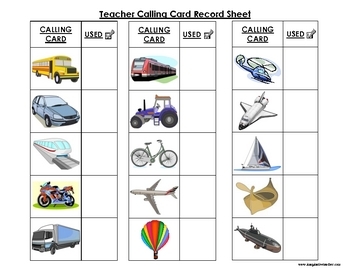 Keep a record of what has been called out by using the Teacher Calling Card Record Sheet.